Sometimes it pays dividends to purchase something run down and throw the builders and some pound notes at a property in order to come up with something lettable. In this case however I can't fault the refurbishment done by the current owner. 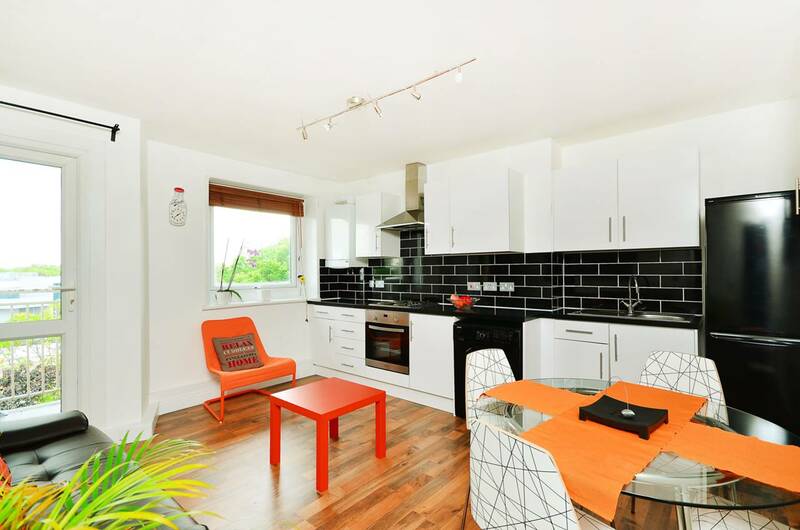 Judging by the floor plan's layout and square footage this property was probably a 3 bedroom flat in it's former life, now revamped as a 4 double bedroom apartment boasting a modern open-plan kitchen and wooden flooring throughout. It looks beautiful. For an easy investment this is certainly worth a look. Points to note are that it is further from a tube and closer to rail transport. This may put some tenants off, so the choice of tenant will be more limited and hence it may prove slightly more difficult to let. However in a busy market like London voids are minimal if any, and the purchase price is very keen considering the immaculate condition. We estimate a rental income of between £450-£500pw, which translates to a gross yield of 6.7%-7.4% yield if you offer the vendor the full asking price. An easy investment and we'd have tenants queueing up for viewings for sure. If you are interested in hearing more about buy to let investments please do drop me a line or call the office on 020 3397 2099.